White Orchid Interiors is a leader for professional home staging and interior design. We specialize in furnishing and staging homes in every interior design style and price point. In this blog you will find news articles, style guides, latest design trends and more from the home staging industry leader. Tennis legend Serena Williams’ house is for sale, according to Variety. That’s right, the new mom and 23-time Grand Slam winner, has listed her Bel Air residence for sale. This isn’t the first time that Williams has tried to sell her over-6,000 square foot home. In fact, last year the home was priced at $11.995 million but never sold. 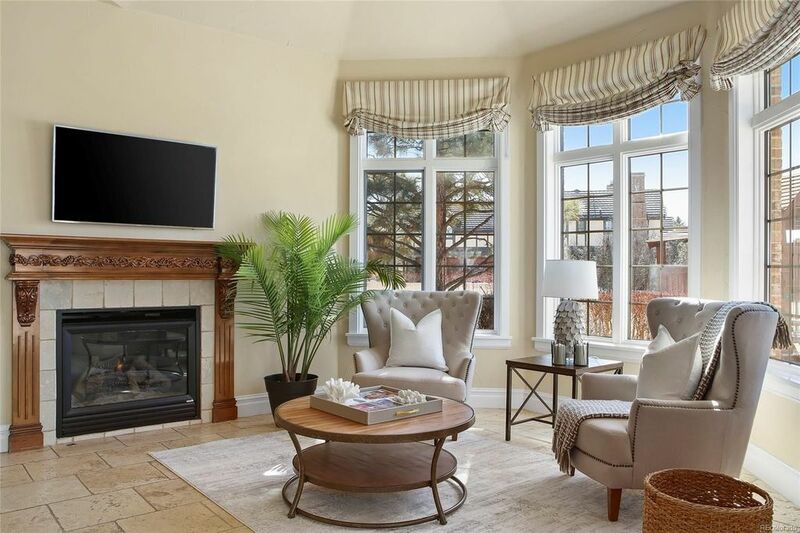 Now Serena Williams’ house is listed for $9.995 million – and is a perfect example of why home staging really matters. 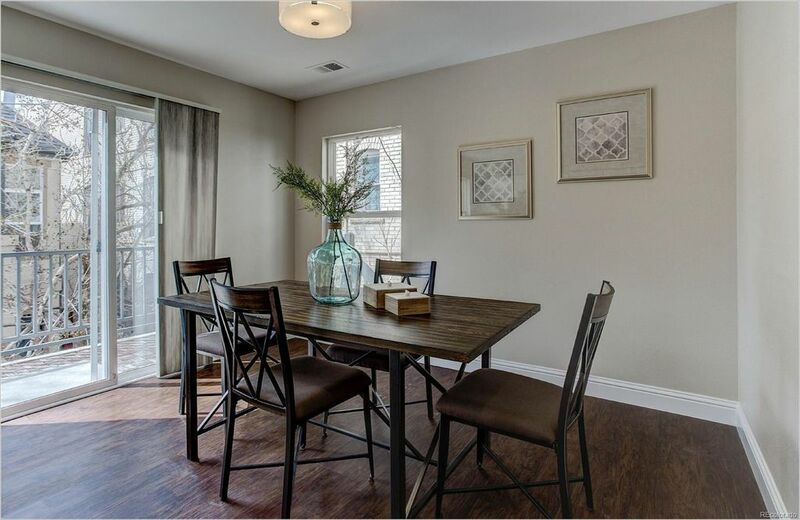 Not only can it sell a home quickly, but home staging can start a bidding war. This 1935 home sits on nearly 3 acres of land. It includes 6 bedrooms and 7 bathrooms and interiors with custom closet space, vaulted ceilings, marble floors, and the enchanting natural light. The home’s elegance doesn’t stop there, it has sprawling garden grounds, complete without a pool and pool house. It’s hard to imagine such a gorgeous and serene home having difficulty selling. 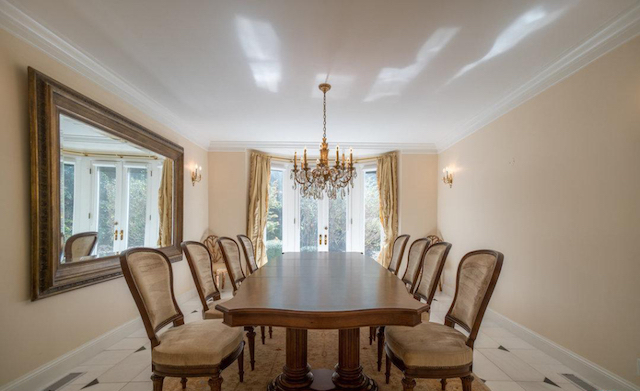 Perhaps, with its current French Provincial interiors, potential buyers are having trouble visualizing themselves and their belongings in Serena Williams house. 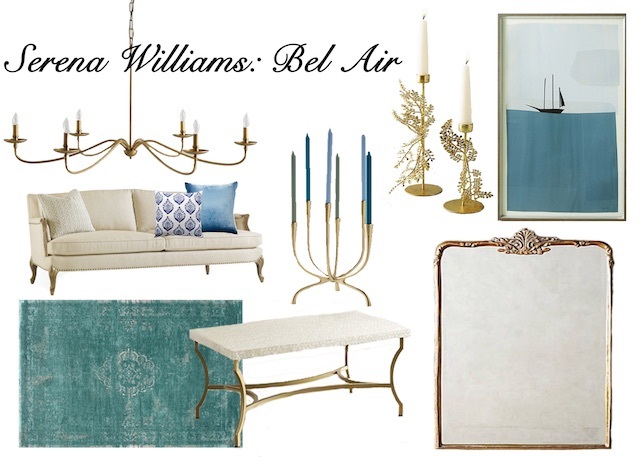 As a result, through an analysis of Williams’ home and a mood-board, I’ll show you how I would utilize home staging to get Serena Williams’ home ready for sale. Keeping focus on the potential buyer instead of personal taste is one of the biggest keys to ensuring a quick and easy sell. We’ll give the home a more modern take on Serena’s French provincial styling. We will keep the neutral palette and add in variety of blue toned hues. The blues we added create a calming effect. We also swapped out the more ornate French provincial furniture for some with a modern twist. It’s best to keep the focus on the actual home rather than creating a distraction with the furniture used for home staging. Eye catching pieces are best in moderation. This home already oozes grandeur and refinement, our take on the styling lets the home and its architectural details now speak for itself. The post Serena Williams’ House Re-Imagined With Home Staging appeared first on White Orchid Interiors. As a seller or a real estate agent you probably wonder how to start a bidding war? After all, the goal with a home sale is to quickly and easily maximize profit. It’s a question you should be asking. So how can you start a bidding war? How can you sell your home for over-asking price? The key, echoed recently in an article in the New York Times, is home staging. 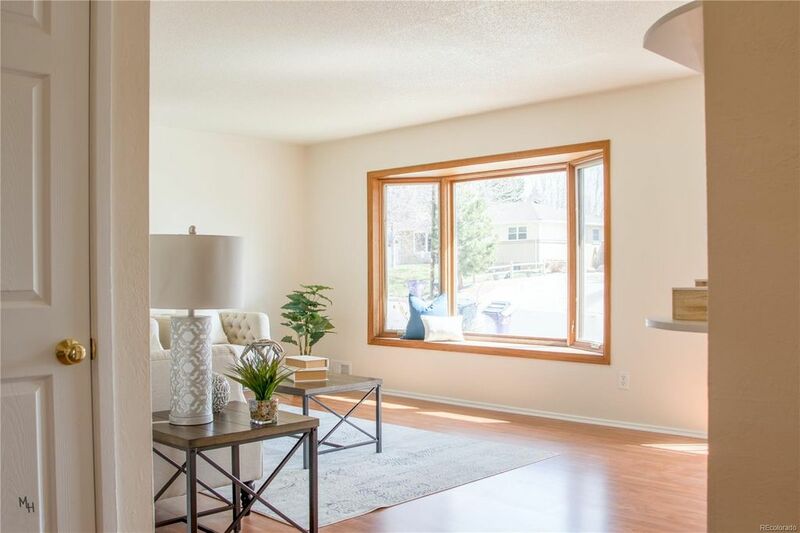 Follow below as I outline why exactly in today’s sophisticated real estate market home staging is the primary way to drive a bidding war for your home. With content and programming at every turn from our phones, to our watches, to our Instagrams, buyers live in a world where the expectation (note: not the wildest dream) is a pad styled to Pinterest-worthy perfection. Don’t get me wrong, we’re as big of fans of all the fabulous design and diy show as anyone. In fact, White Orchid’s even been on one. But reality design shows have raised the bar for home-sellers.“In the age of the television series “Million Dollar Listing” and online real estate photos, more buyers expect up-to-the-minute style,” notes the New York Times. Buyers have become more discerning, more sophisticated than ever. It’s the reason why the art of home staging has become than decluttering a home or shifting furniture around. This is especially true given Colorado’s increasingly tech-heavy and Millennial demographics. A bidding war, comes from the fact that home staging is a dynamic transformation of a home – its spatial layout, its design, its architectural features – which projects to buyer’s an aspirational lifestyle. Regardless of whether it should or not, furniture does set the tone for an entire home. If the furniture appears tired – even in a beautiful luxury home – buyers are inclined to think the entire home is out of date. They may even think the home’s in need of expensive repairs. That’s not something any buyer wants to deal with. It’s certainly not something buyers will start a bidding war over. They’ll walk out the door without giving the home a second though, let alone an offer. Just take a look at this 8,000 square foot Cherry Hills stunner which lingered on the market until White Orchid Interiors staged it. If a home is on the market empty, buyers are inclined to feel the home is devoid of warmth, personality, and aspirational lifestyle qualities. 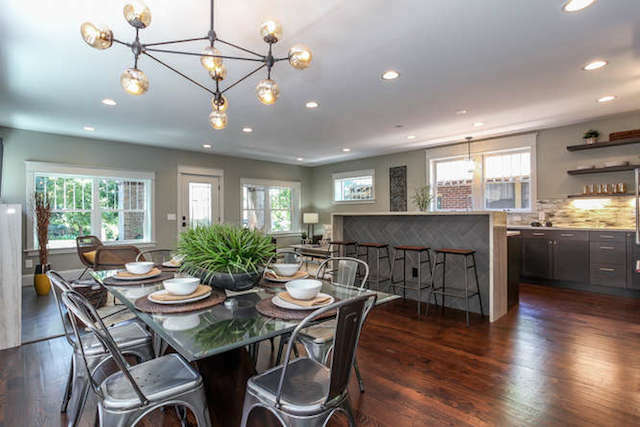 See how this Boulder new-build started a bidding war to sell for $315,000 over-asking with the help of White Orchid Interiors home staging. If a home appears dark, buyers will think its small and unwelcoming and move onto the next open house.Are you wondering how to start a bidding war? It’s with home staging. Debating over whether or not to list this fall? See why fall Is actually the best time to sell your home. As a home seller or realtor, the goal is to sell your home swiftly and to maximize value. With that in mind, look to stage your home immediately and then list. 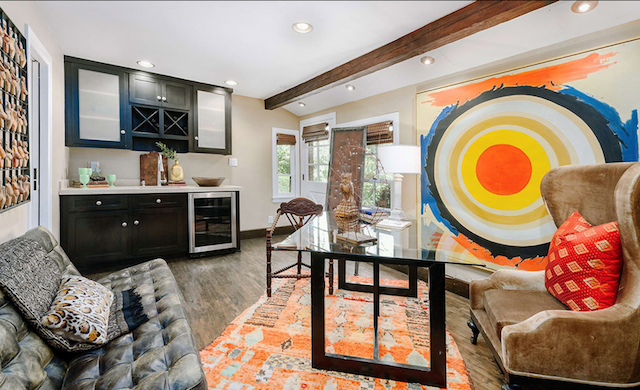 Home staging is the key to inciting a bidding war. Avoid the hassle of a lengthy listing, de-listing, staging, and re-listing process. In today’s savvy and design-forward real estate market buyers expect to open a front door and clean, fresh, fun looks they’d find in the pages of a magazine – and they’ll often start a bidding war to get it. The post How To Start A Bidding War appeared first on White Orchid Interiors. 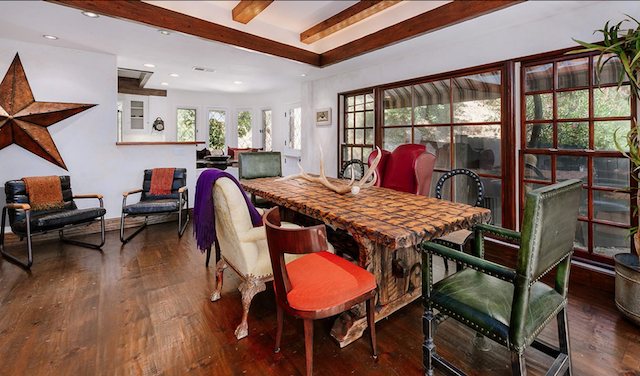 Demi Lovato’s home is for sale. 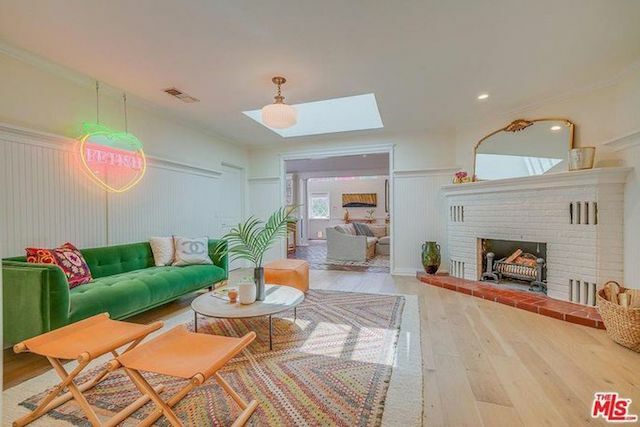 Yep, the singer, songwriter and actress, Demi Lovato, is ready for a fresh start and recently listed her Los Angeles home. 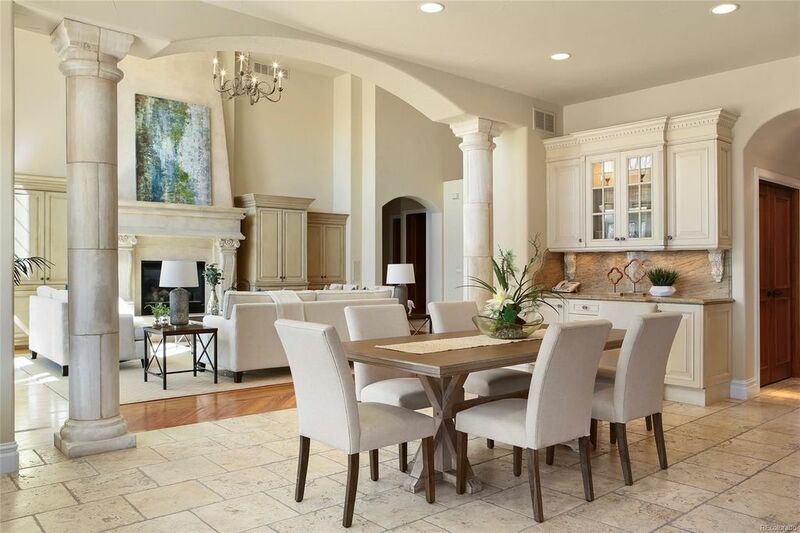 This luxurious contemporary home has 4 bedrooms and 6 baths spread out over more than 5,000 square feet. The home is s currently listed at 9.495 million dollars. 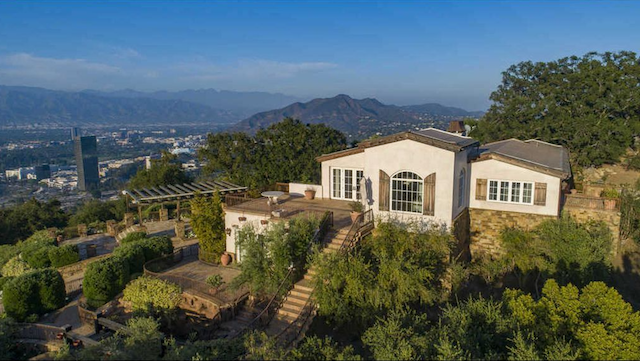 Lovato’s house is secluded, situated at the end of a private drive. It also features views of the world famous Chateau Marmont hotel. The homes current aesthetic is modern, with a muted palette. 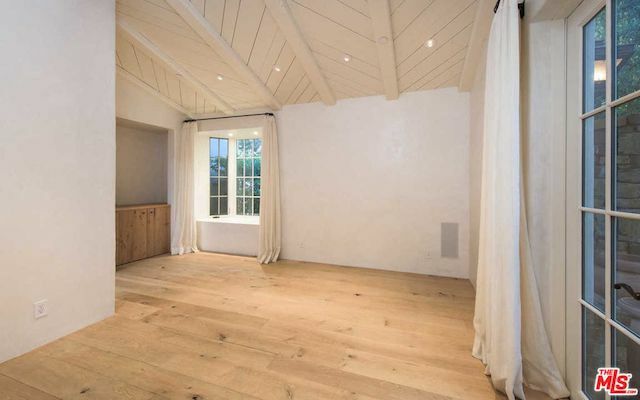 In fact, it’s so bathed in neutrals, Demi Lovato’s house is almost completely void of any color. 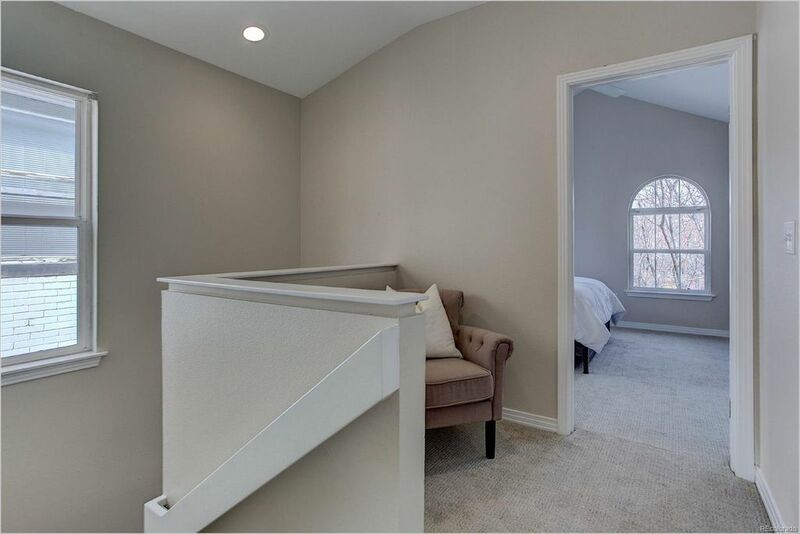 The home’s palette is a great base to start home staging from, but without a hint of color or personality, is it might leave home buyer’s wanting for more. 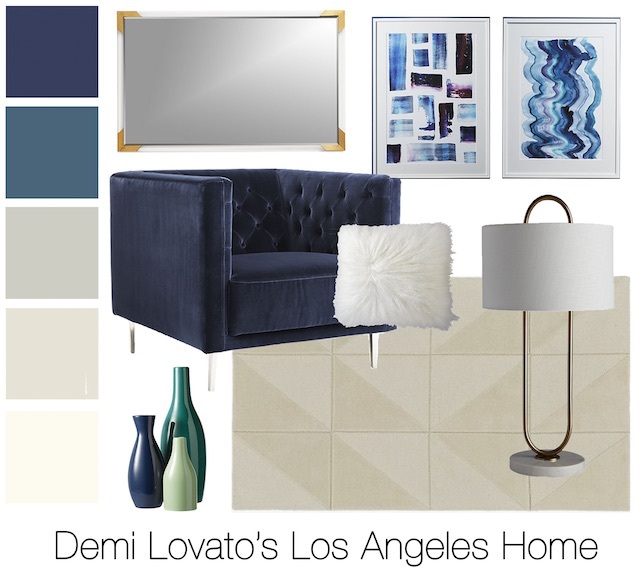 Therefore, through an analysis of Lovato’s home and a mood-board, I’ll show you how I would utilize home staging to get Demi Lovato’s home ready for sale. We worked with the base palette throughout the home. Although neutral palettes are ideal for a quick sale, too much neutral can easily wash out a space. 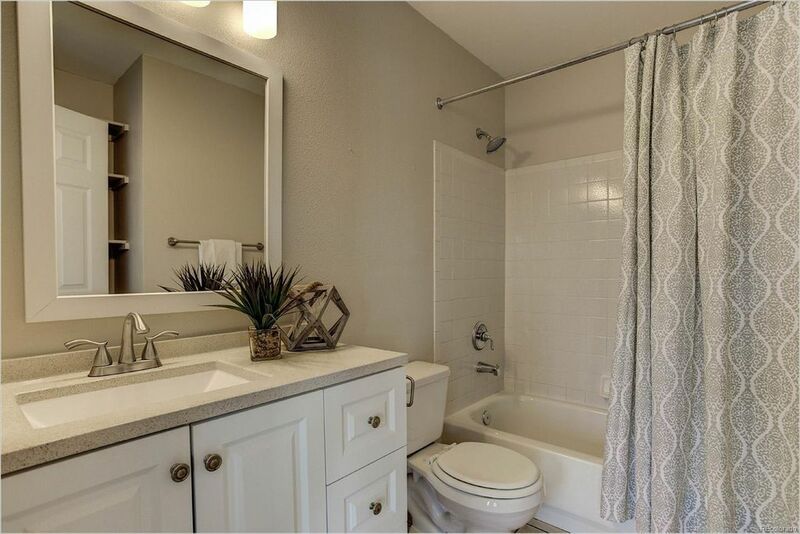 As result, it can make space feel cold and unappealing to a potential buyer. We added accessories that make the space feel less sterile. For example, we opted for velvet arm chairs for a touch of drama, color, and texture. The rug we’d utilize for home staging is simple with clean lines. Therefore, adding depth with its pattern. The mirror and lamp are both modern and are in keeping with the home’s existing style. A luxe home staging aesthetic with just enough personality to excite potential buyers. 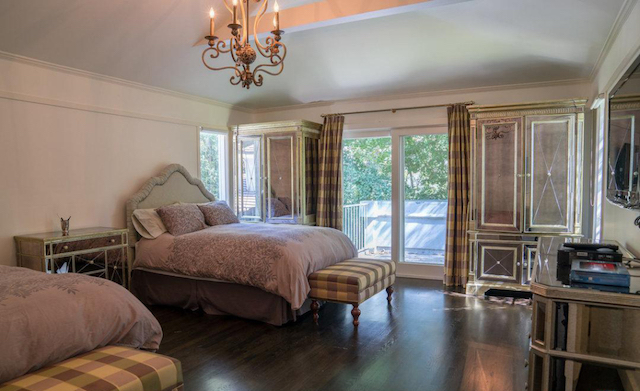 With this kind of home staging, Demi Lovato’s house feels more like a home than a hotel. Even with blue accents, the home’s creams and whites provide neutral enough base for anyone to envision themselves in the space. The post Demi Lovato’s House Re-Imagined With Home Staging appeared first on White Orchid Interiors. Trish Sidebotham is the newest addition to theWhite Orchid Interiors team. The Design Coordinator has a natural eye for design which led her, somewhat accidentally, into the design world. 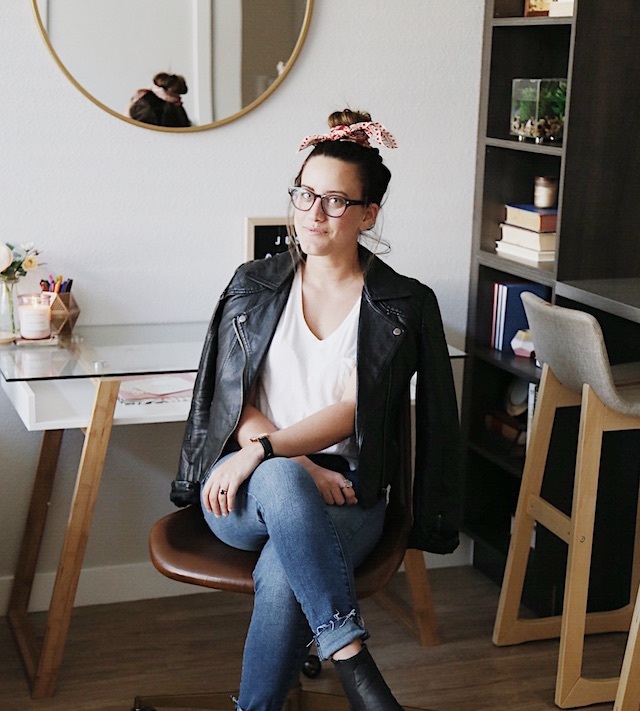 While working in a different industry, Trish found her true calling in design thanks to a constant stream of houseguests quick to compliment her own home’s style, not to mention numerous requests for Trish to perform interior design work on the side. As a house staging Design Coordinator Trish meets with agents and potential clients, creating design layouts and selecting furniture and accessories for homes. She also facilitates and implements the house staging design on staging day. Get to know more about Trish below! Q&A With Trish How Long Have You Been With White Orchid? I’ve been with White Orchid Interiors for about 5 months now, although it feels like much longer! This role came naturally to me and I’m so glad I joined this industry and team. How or when did you did you decide you wanted to go into the design field? That’s a funny story because I didn’t realize I wanted to do design until I got married and we moved into our first house together. When guests came over they were quick to compliment how beautifully styled our house was and that I had a great eye for design. When we moved I was selling our furniture to the company I worked for and not only did people buy all my furniture but I had at least 10 requests for interior design work. It was then that I made the decision to change career paths. What is your most memorable home stage and why? I would have to say my most memorable stage up to this point would be the first house I staged without help. It was a beautiful 1.8 million dollar home and seeing the design come to life for the first time was such a surreal moment. It confirmed to me that I absolutely made the right decision jumping into the design industry. Who is your favorite celebrity designer? Without hesitation it is Shea McGee from Studio McGee. I’m always amazed at her classic and timeless looks that her team creates in each home. Their blend of neutrals, textures, and impeccably designed furniture gives me so much inspiration for staging different houses. I pride myself on being able to find the best fashion and design trends at thrift stores in town. I’ve been doing this way before it became cool and I’m always so excited to tell people I found it at Goodwill! 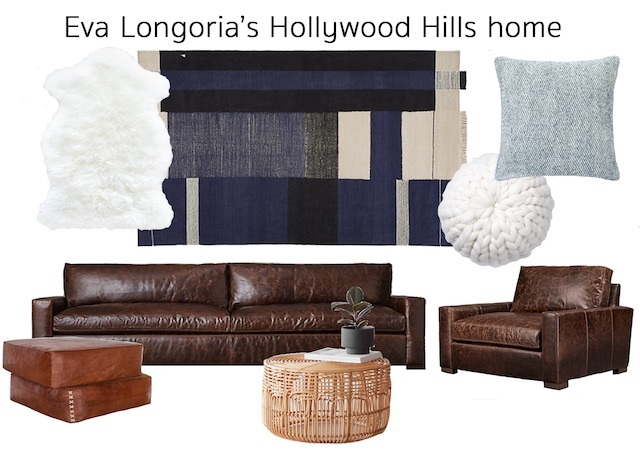 Who’s house would be your dream house staging? I’d have to go with my favorite musician, Chris Stapleton. I’m a country girl through and through and I would love to incorporate western modern elements of design into his ranch property in Tennessee. Hey, maybe then his friendly neighbors would let me stage their homes. Justin Timberlake, Tim McGraw, Allen Jackson, and Carrie Underwood to name a few. The post Meet The Home Staging Team: Trish Sidebotham appeared first on White Orchid Interiors. Is home staging important? There was a time, not so long ago, when people thought home staging was only for wealthy sellers. Those who hoped to attract wealthy buyers. In today’s real estate world, home staging has gone from luxury to necessity. In fact, home staging is important for every price point, according to a recent report by NPR’s Marketplace. Further, when a buyer walks into a house, home staging is what helps them imagine it as their own. For the purposes of maximizing sale price, most traces of the existing owner are removed. The home is reimagined using new décor with the target buyer in mind. Furniture and other design elements are selected to help highlight key features in the home. Whether it’s a starter home or a mansion, all buyers have trouble attaching themselves to a space that still looks like it belongs to the current owner. 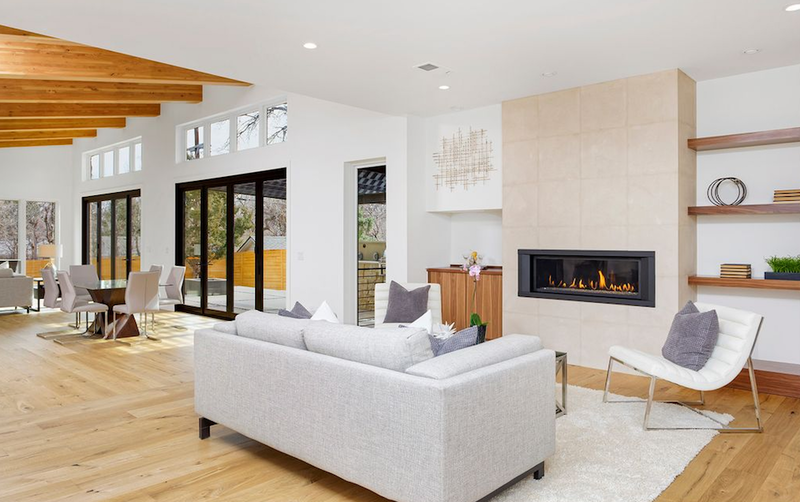 For example, broker Ann Kerr said that her client’s gorgeous luxury Denver home had been sitting on the market when filled with the owner’s furnishings. 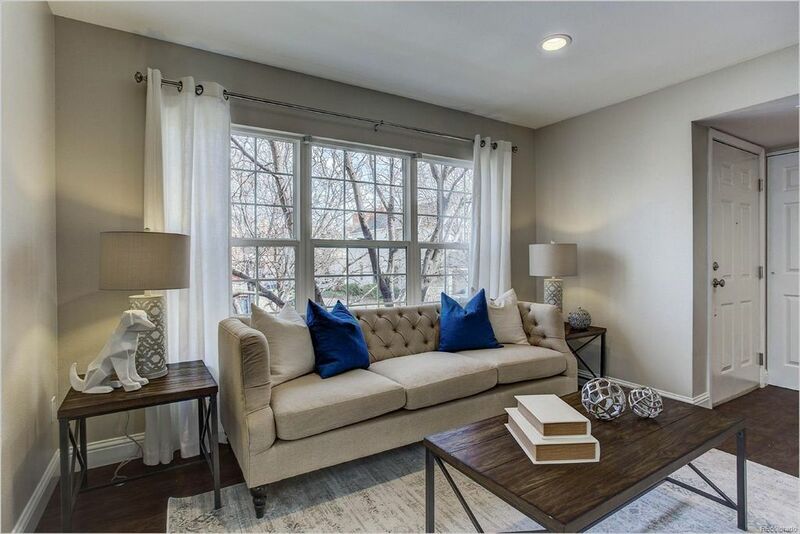 After she enlisted White Orchid Interiors to do a custom home staging, the home sold in only two weeks – at $40,000 over its asking price. Does Home Staging Work To Add Value? 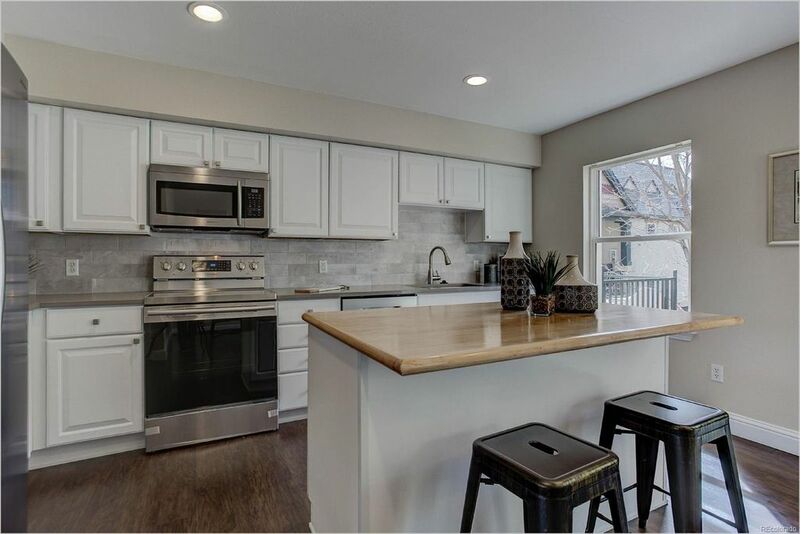 Not only does home staging help sell a home faster like this Uptown Denver starter condo, but when done right, home staging also raises the market value of a house. In fact, a 2017 survey by the National Association of Realtors found that real estate professionals believe home staging increases the price of a home anywhere from 1 to 15 percent. 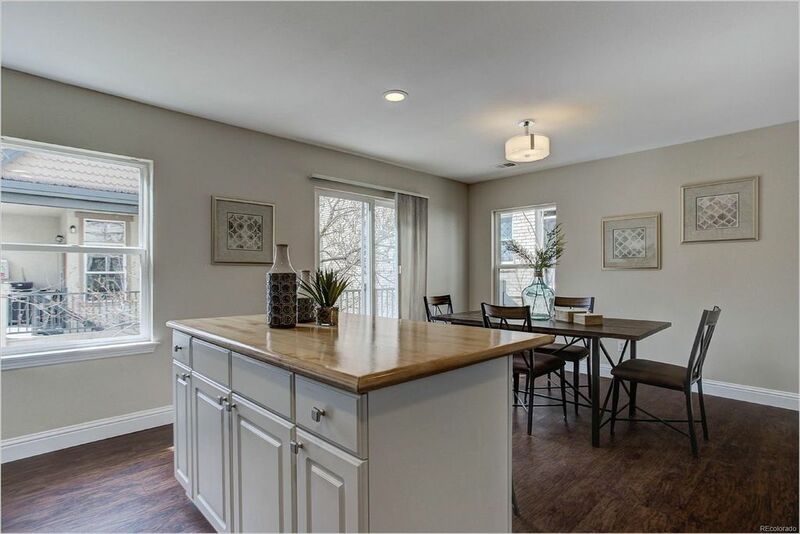 Still not sure if home staging works? 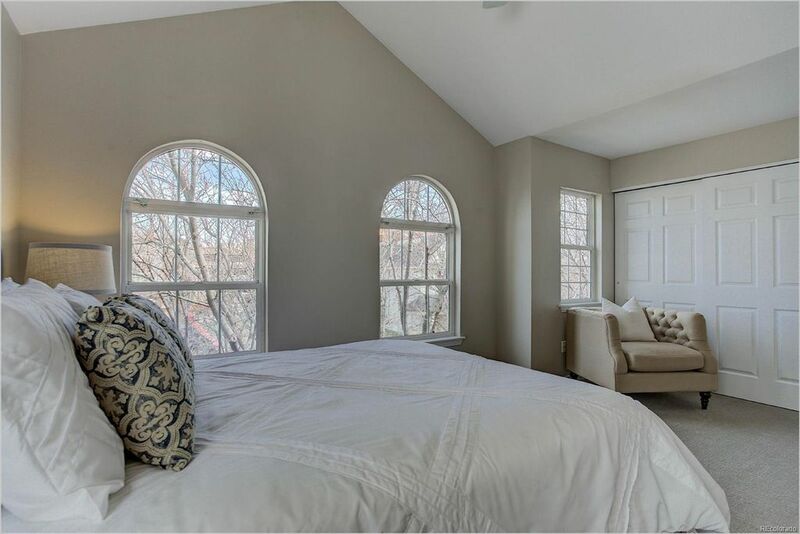 Well look no further than this Boulder five-bedroom which used White Orchid Interiors’ custom home staging to sell for 15% over asking price. 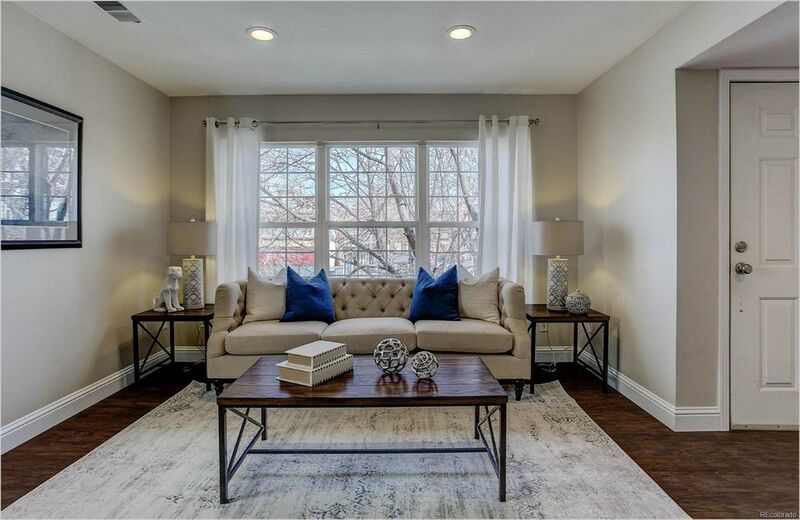 Do Staged Home Sell Better? Home staging is an investment that’s likely to yield high returns for any seller. 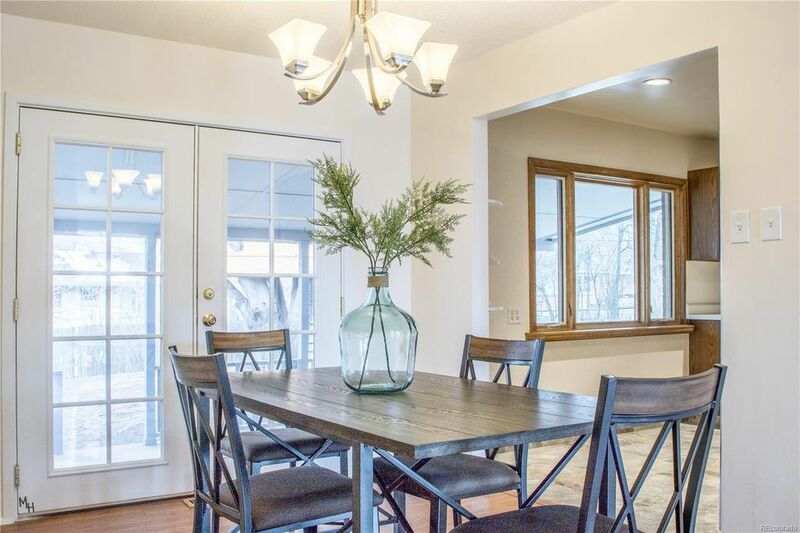 Colorado realtor Kayla Schmitz knows firsthand what a incredible value home staging provides. She sold a quaint ranch-style home for $20,000 over asking in just six days. Schmitz used White Orchid’s Katie Designer Package. 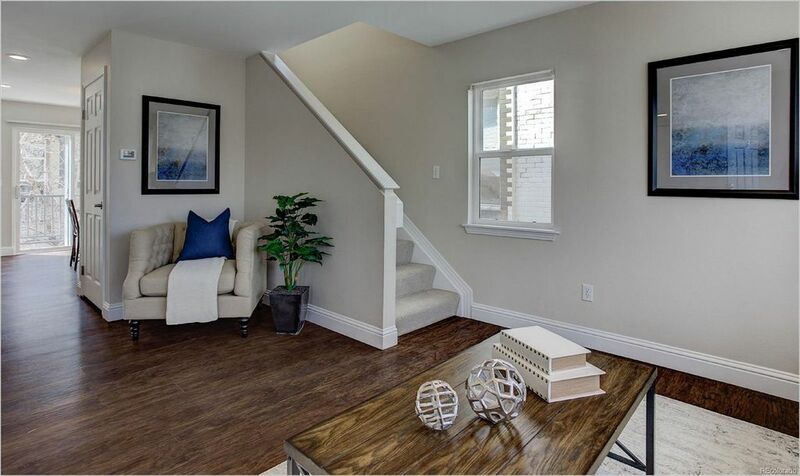 It’s a value home staging package with a fresh, contemporary design. It’s all the essential furniture and decor for a home staging and available for just $1495. The Katie Designer Package, which includes coordinating furniture, artwork, and accessories, also helped Denver realtor Janie Stoddard sell her client’s condo virtually overnight. 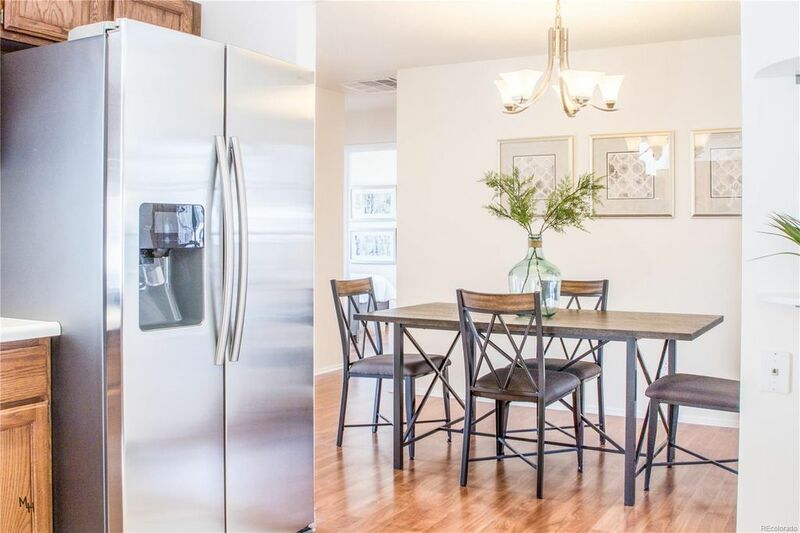 It sold for $15,000 over asking only two days after home staging. 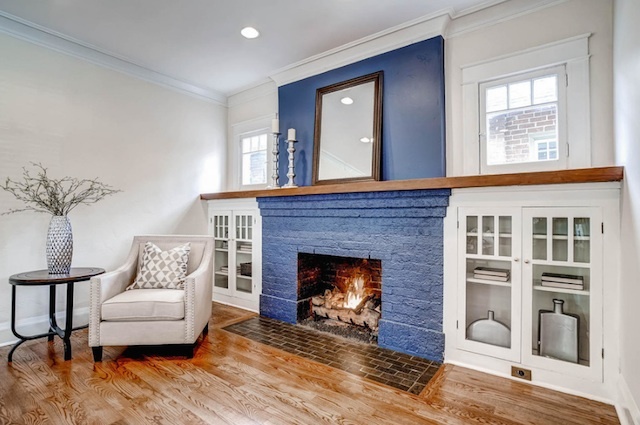 No matter what the price point, staging is essential to attracting buyers and winning them over. The post Why Home Staging Is Important For Every Price Point appeared first on White Orchid Interiors. 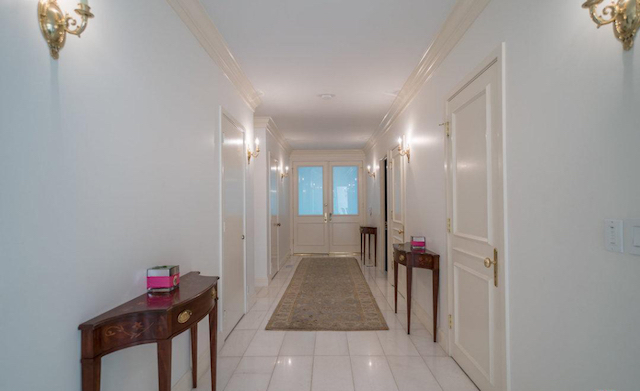 Cher’s Beverly Hills house is for sale. 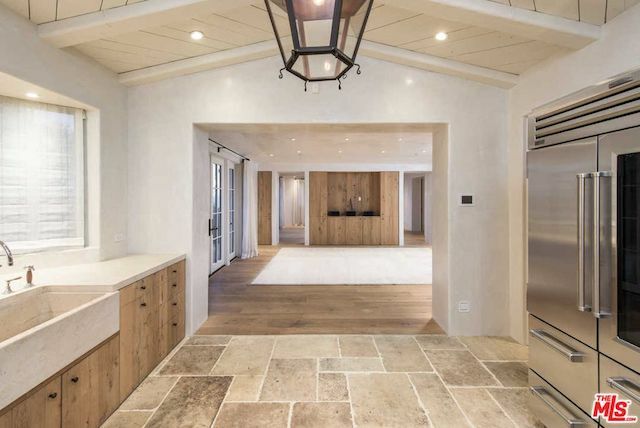 Not that she needs an introduction, but singer, songwriter, fashion icon, and Mamma Mia 2 star, is moving on from her Beverly Hills property. Cher’s Beverly Hills house is currently listed for sale at $2.5 million and is 3,089 square feet. 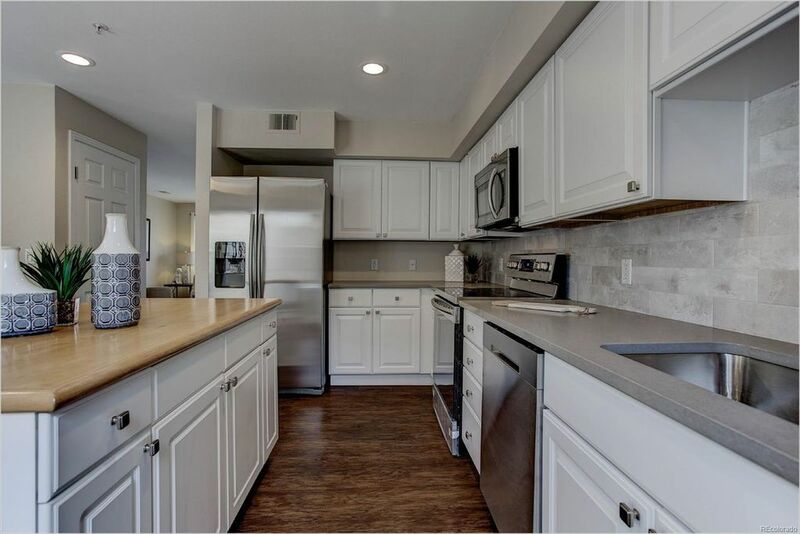 It features four bedrooms, three bathrooms with gorgeous reclaimed wood floors, exposed beams, custom recessed lighting, and wall to wall sliding glass doors. Not to mention the home also features a lush gardens, koi pond and wrap around deck. 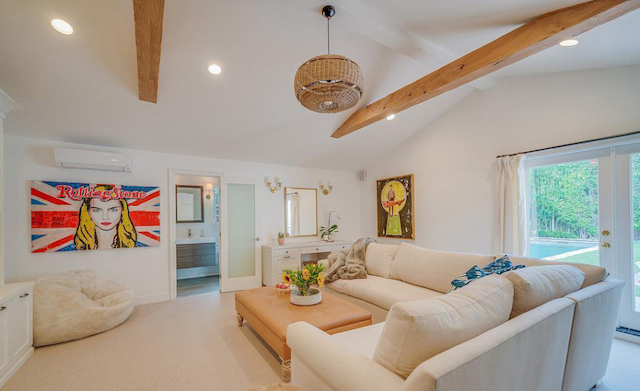 Firstly, as you may have expected, the décor in Cher’s Beverly Hills house is eclectic and unique, just like its owner. However, for potential buyers, the decor and furnishings may take away from the home’s gorgeous English Tudor style architecture. The estate’s interior architecture is one of its main selling points, so it’s important to accentuate rather than detract from. 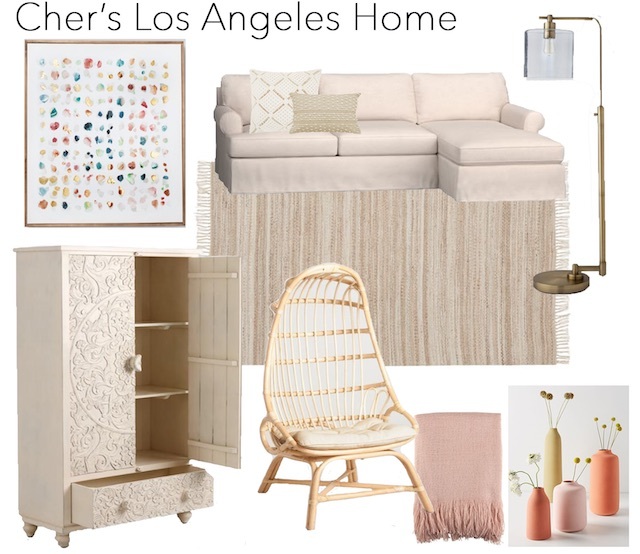 Therefore, through an analysis of Cher’s home and a mood-board, I’ll show you how I would utilize home staging to get Cher’s home ready for sale. The number one focus is to make sure the décor doesn’t take away from the home’s interior architecture. When it came to reimagining Cher’s home with home staging, we wanted to mute chose to mute the house’s current color palette. Our goal was to also outfit the space with more neutral accessories and create a softer aesthetic. A home with a base of neutrals: whites, creams, and light beiges. The light palette creates and interesting contrast with the pre-existing dark woods found throughout the home throughout the home, like it’s hardwood floors and it’s exposed beams. We accessorized the space with neutral toned furniture and pillows as well, but chose interesting pieces with different patterns and textures to create dimension and interest. We added accent colors via airy pink and orange-hued accessories and art to create balance with the neutral palette. The post Cher’s Beverly Hills House Reimagined with Home Staging appeared first on White Orchid Interiors. The post Eva Longoria’s French Villa Re-Imagined With Home Staging appeared first on White Orchid Interiors. 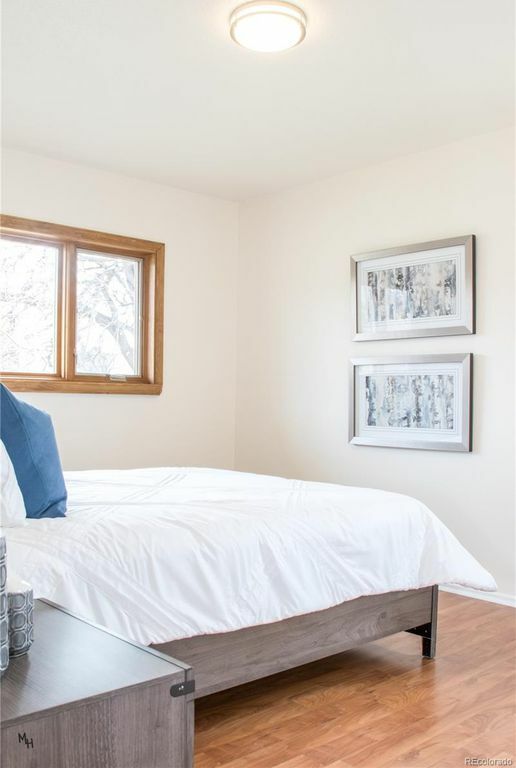 The post Denver Home Staging Sells 5-Bedroom For Over-Asking in Under a Week appeared first on White Orchid Interiors. 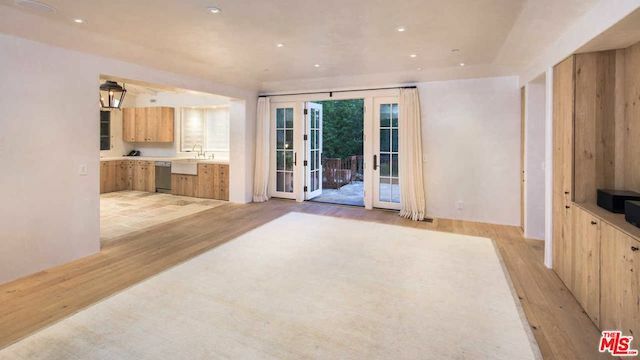 Singer, song writer, and house-flipper, Selena Gomez recently listed her Studio City, California home for sale. According to Variety, Gomez’s 3,188 square foot house – which was built in 1951 – sits behind tall, privacy hedges. Gomez’s home includes three bedrooms, 2.5 bathrooms, a detached guest house, and amazing pool. 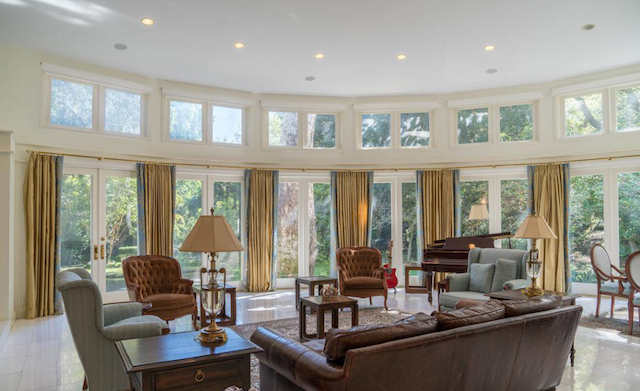 The Los Angeles area home is currently listed for sale at $2.79 million. 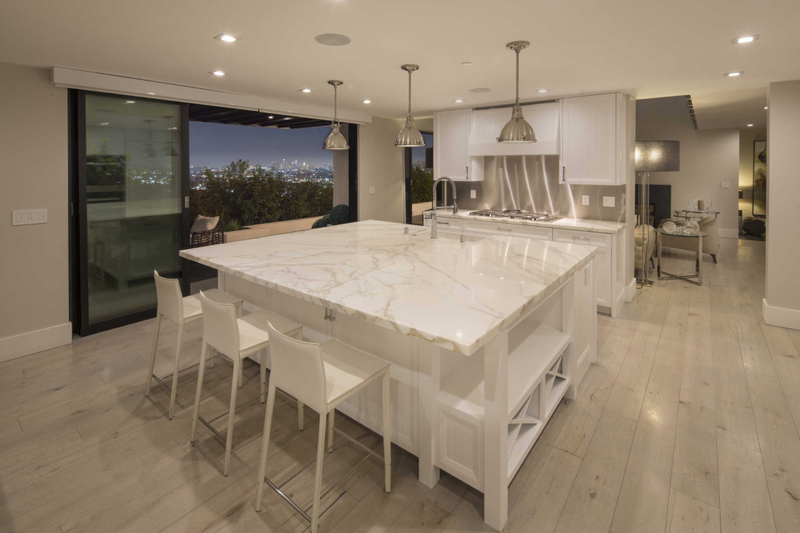 Although Selena Gomez’s house for sale has an overall neutral palette which is recommended when staging a home, there are some areas that may pose problems and turn off potential buyers. With the use of a carefully curated mood-board, we will show you what changes can be made to improve the chances of a quick sell. The home already has a neutral based palette, however green velvet sofas, neon signs, and custom art may not be everyone’s cup of tea. The key to staging a home for sale is to keep the décor from overshadowing the space and its functionality. 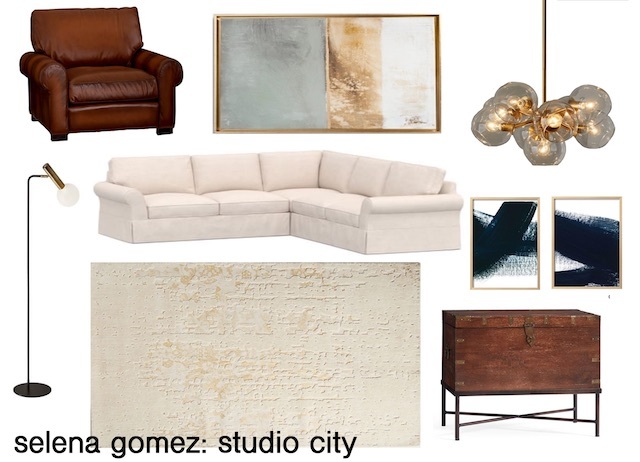 As a result, when it came to reimagining Selena Gomez’s house with home staging we chose to go with a cream colored sofa, a neutral rug and pillows because the home already has a lot of texture such as brick, wide plank hardwood floors, and marble. The new color palette adheres to the natural tones found in those architectural features: browns, whites, and blues. Additionally, when staging a home, it’s smart to avoid using pieces that skew too much towards one demographic. That it why, for example, we swapped out the younger-feeling art pieces and neon signs, replacing them with art appeals across a broader spectrum of potential buyers. The post Selena Gomez’s LA Estate Reimagined With Home Staging appeared first on White Orchid Interiors. White Orchid Interiors’ Home Staging Success stories are a recurring feature where we share the inside scoop how staging a house works. Learn how we stage a home, how fast the homes sell, and for how much! 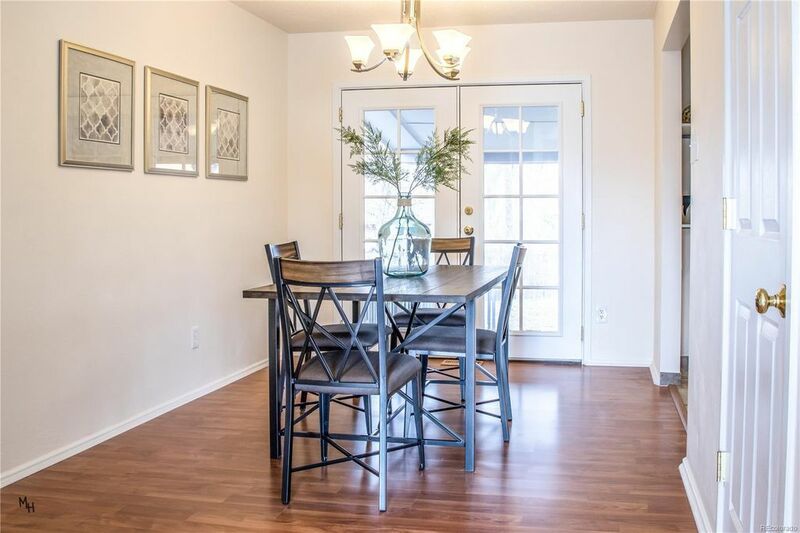 Check out this condo home staging below. 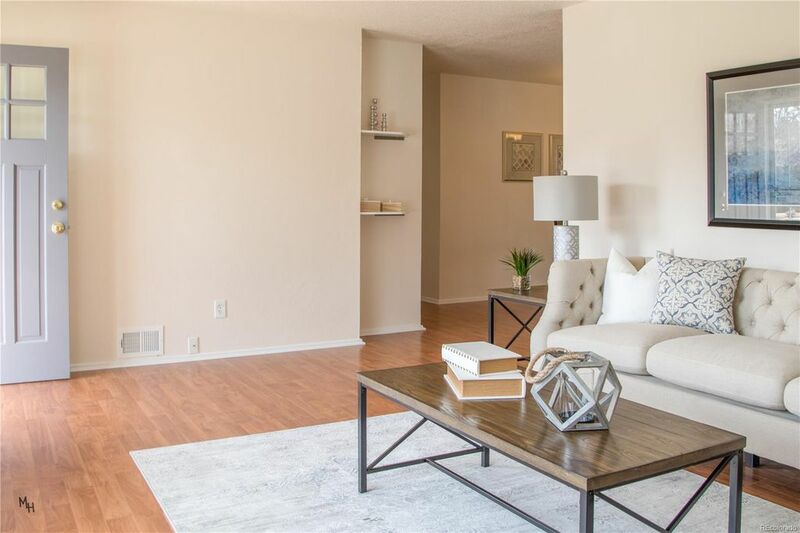 First, this newly-renovated two-story condo had a ton going for it, so it’s no surprise that by adding White Orchid Interiors professional home staging, the property sold in just two days – and for $15,000 over asking! 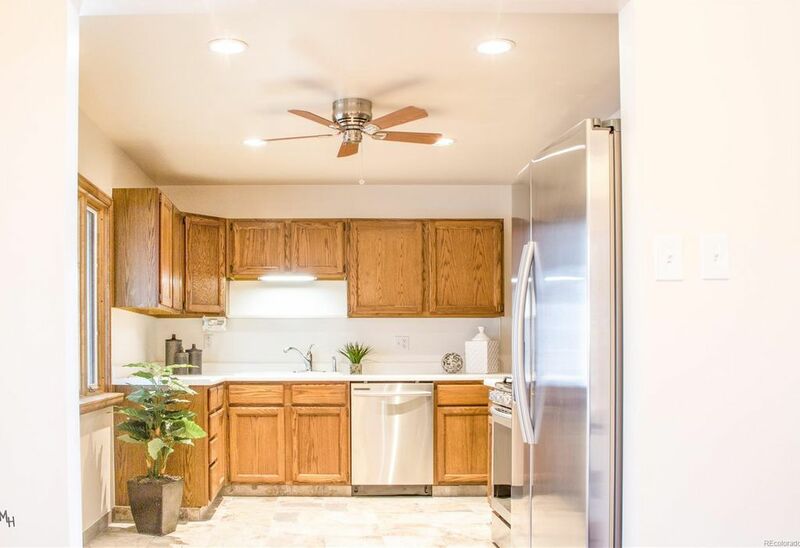 Its prime location in Denver is steps away from loads of dining and entertainment options that Uptown has to offer. 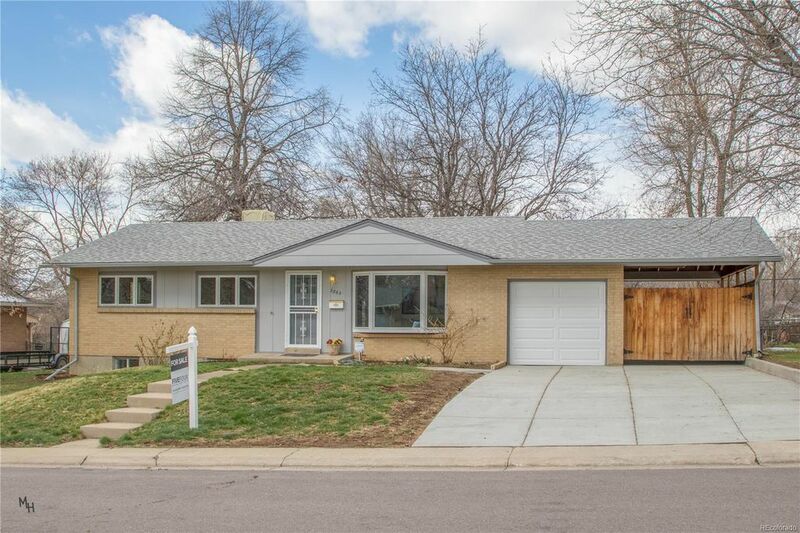 The unit also included several updates, all of which made this home an ideal Denver starter home. 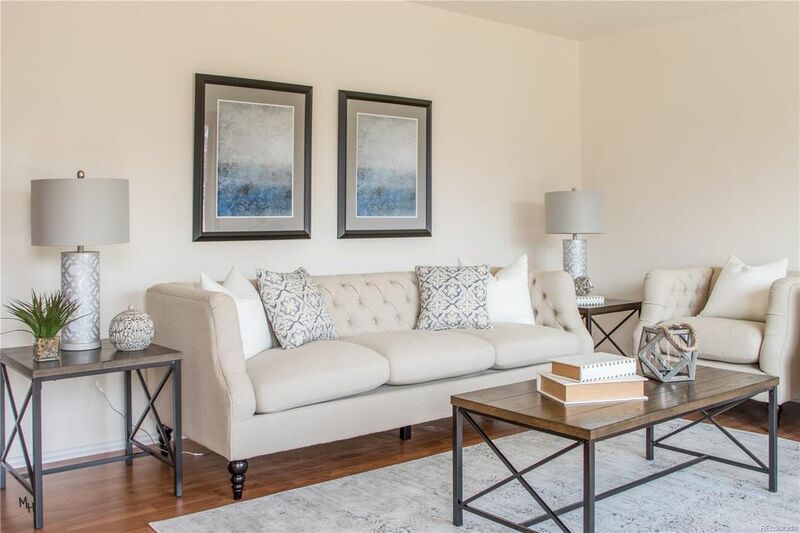 Given the home’s price point, realtor Janie Stoddard of Coldwell Banker Devonshire, sought out White Orchid Interiors package home staging; package home staging is our latest home staging innovation. Package home staging provided Stoddard with the best values in home staging that’s also being incredibly efficient and professional. 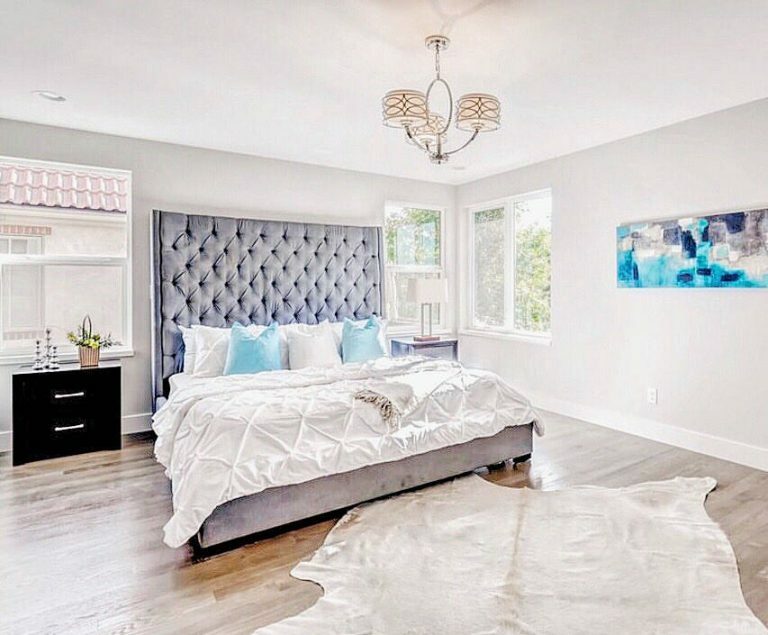 In total, White Orchid Interiors’ package home staging offered Stoddard 60 pieces for home staging in the latest design styles, and all for only $1,495. The Katie Designer Package enabled home-buyers to visualize this Uptown condo as their own. The package included coordinating furniture, artwork, and accessories – everything essential to stage the home. Additionally, the Katie Designer Package, inspired by White Orchid Interiors’ work on HGTV, offers a fresh, contemporary design at the reasonable price of $1495 for one month. 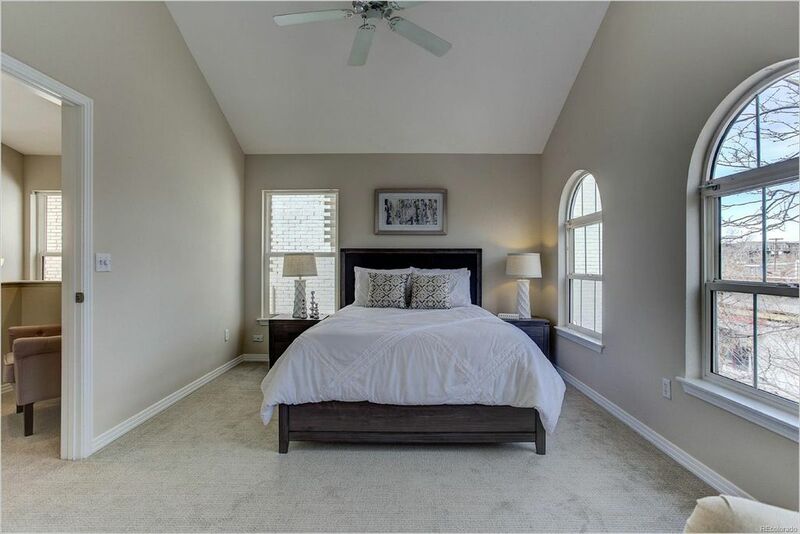 It was used to stage the living room, dining/kitchen area, and master bedroom/bathroom of this Uptown condo. As a result of staging with furniture and decor in neutral colors and with clean lines, smaller spaces, like condos, feel more open and airy. 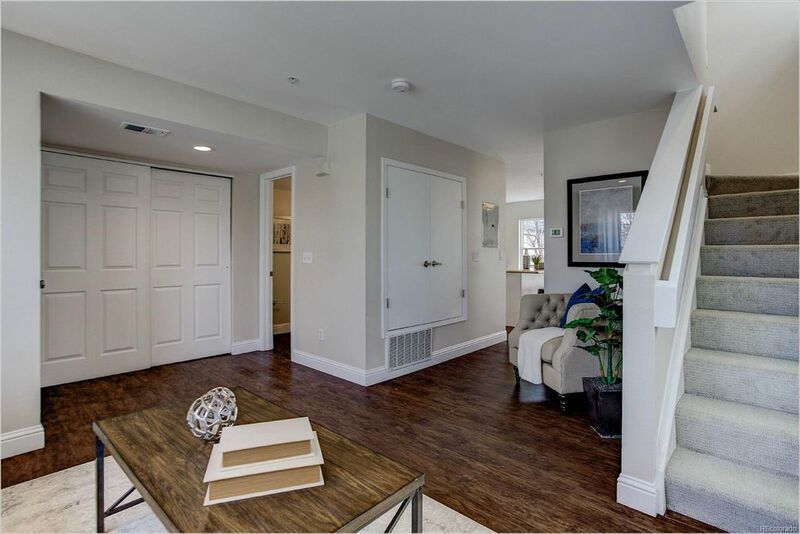 Professional and affordable home staging staging allowed potential buyers to appreciate this condo’s high-end updates. 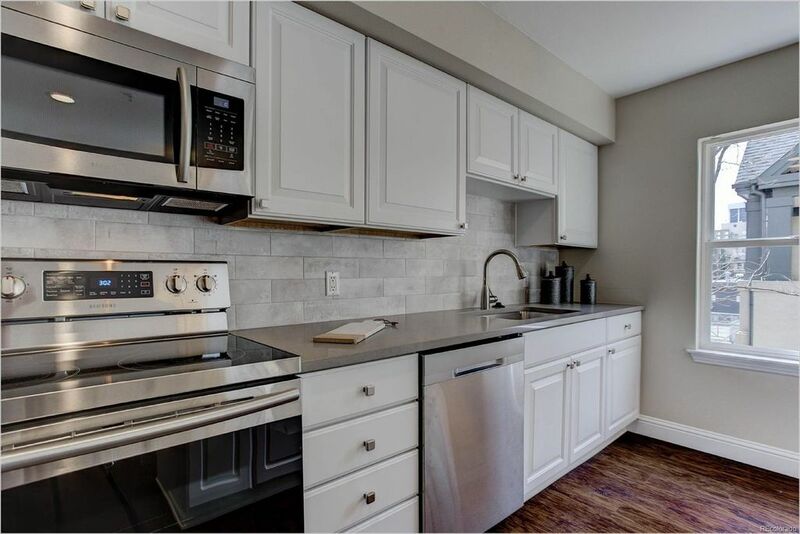 As a result, the unit went under contract for $15,000 over asking just two days after listing. The post Contemporary Uptown Condo Sells Over Asking, Virtually Overnight appeared first on White Orchid Interiors.